California may not be one of the original states in the union, but that doesn’t mean it isn’t steeped in a rich history. With a long line of Native American and Spanish heritage, there is much to be discovered in the Golden State’s significant past. 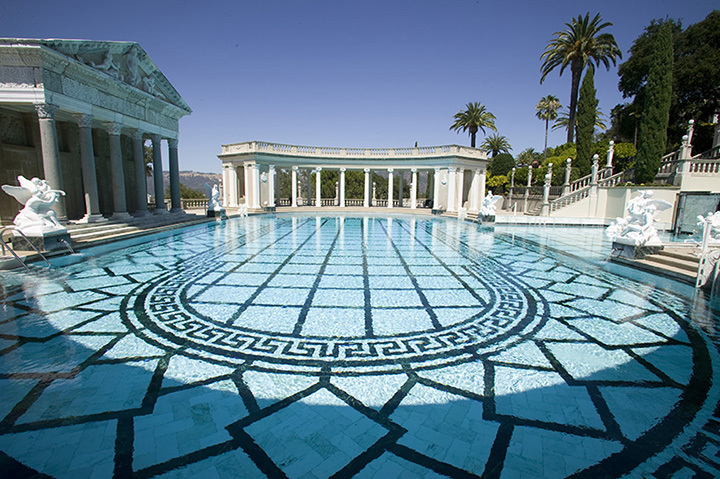 From wine making to movie making, California is home to some monumental events and places. Here are the top 15 historical sites in the state. The Golden Gate Bridge links the city of San Francisco to the rest of the Bay Area. Opened in 1937, the stunning Art Deco design is what gives the state of California’s its nickname, the Golden State. Still considered a modern marvel of engineering, the bridge is thought to be amongst the most photographed in the world. The Hollywood sign that sits in the Hollywood Hills welcomes visitors and hints at the hopes and dreams of the motion picture industry. Originally constructed to read “Hollywoodland,” the name of suburban home development that never happened, the Hollywood sign is an iconic symbol of Southern California. With its constant introduction of new rides and attractions and updates galore, it’s easy to forget that Disneyland is also historic as the first theme park in the nation. Built in 1955, Disneyland still contains its charm and lives up to its name of the happiest place on earth thanks to the vision of creator Walt Disney. Grandma Prisbey’s Bottle Village is one historic landmark that many have never heard of. But if you’re driving through the area, it’s worth it to stop and see how folk artist Grandma Priseby created an entire village from odds and ends and lots of bottles. Bottle Village started in 1956 under the vision of then 60-year old Tressa "Grandma" Prisbrey and ended in 1981, since gaining historical landmark status. Before Napa and Sonoma became filled with wineries that have international reputations, the Buena Vista Winery was it. Founded in 1857 by an exiled European count, the winery is a historic landmark and still produces wine as it continues to grow and expand into the modern world. Today, Sonoma Plaza is filled with shops, boutiques and restaurants but it’s actually a historical site filled with importance and surrounded by history. Dating back 150 years, the plaza was designed by Mexican Governor Mariano Vallejo and is the location of the last of the California missions ever built. It also is the site that the first California flag was raised and numerous other events. As a coastal state, California has a lot of boardwalks, but the Santa Cruz Beach Boardwalk has the distinguish of being the oldest. The boardwalk dates back to 1865 and remains one of the last boardwalks in the states. New attractions and concessions continue to make the boardwalk a popular place to spend time. Mission San Diego de Alcalá is the first of California’s missions and is still an active parish. Built in 1769, the mission was revitalized in 1931 using historic documents and remains a vibrant park of Catholic history in the new world. If you ever wondered what started the Gold Rush, head over to Marshall Gold Discovery State Historic Park. It’s where James W. Marshall first found tiny gold flecks as he started construction on a mill for himself and John Sutter. You can still mine for gold at the historic site, if you’re feeling lucky. Custom House is the oldest government building in California, as the site where Commodore John Drake Sloat raised the American flag and declared the territory for the United States. It’s now a museum that showcases what has made it State Historic Landmark #1. Once the vacation home for the Hearst family, the West Coast castle and estate of the legendary William Randolph Hearst is now open to the public. You can choose a tour or experience to check out everything from the former zoo to the lavish pools that are still featured in movies to the guest suites where Hollywood royalty would stay and play. Watch out for wandering zebras, descendants of the original herds kept by the whimsical owner. Love adventure? Then check out what inspired Jack London to write such amazing adventure novels on his former estate. From sustainable farming to a lake, check out the historic park named for the amazingly prolific author to see his inspiration up close and personal. The Frank Lloyd Wright-designed Marin Civic Center holds both national and state historic statuses. It was one of the esteemed architect’s final projects, and his 770th commission. Following a circular theme that echoes the surrounding natural environment, Marin Civic Center holds cultural events and also includes administrative offices and the town’s Hall of Justice. Los Angeles is known for its sprawl, but at the center of it all is The Avila Adobe, the oldest building in the city. Built in 1818, it was saved from being torn down in 1926 and now serves as a museum, serving as look into the past of Los Angeles’ Spanish history. View more California Historical Sites.